While pointing out that around 50,000 lives were lost in accidents on rail tracks in north India in the last two years, Punjab cabinet Minister Navjot Singh Sidhu on Thursday urged Railway Minister Piyush Goyal to put in place an effective mechanism to put a stop to railway accidents. Sidhu, who distributed on Wednesday (in Amritsar) compensation cheques to kin of some of the victims of the October 19 Amritsar train tragedy in which 60 people died, divulged that during the past two years, several accidents had taken place on rail tracks in northern India, which claimed about 50,000 lives. 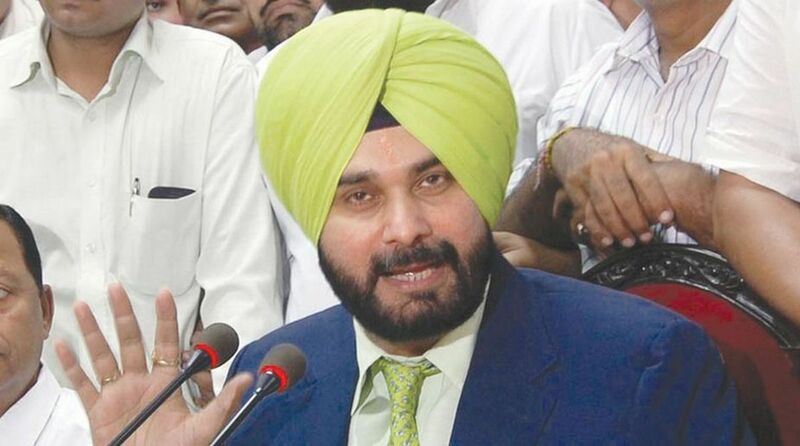 “This makes it important for the Railway Ministry to take some effective measures,” Sidhu said in a letter to Goyal. He also suggested installing of the CCTV cameras and alarms, besides constant patrolling on railway tracks. Sidhu, who heads the Local Government Department in Punjab, assured the Railway Minister of taking up with Chief Minister Amarinder Singh any matter concerning any possible assistance from the Punjab government. He said that cheques of financial assistance have been given to 41 people and the same would be provided very soon to the others who died on Dussehra day when they were overrun by a train. Sidhu and his wife Navjot Kaur are under fire from families of the victims and opposition parties as their close aides from the ruling Congress had organised the Dusshera function near where the train crushed the people watching the burning of the Ravan effigy. Kaur has been accused of being present at the ceremony when the accident took place and running away from there. Sidhu has dismissed the allegations, terming them as “petty politics on the tragedy”.